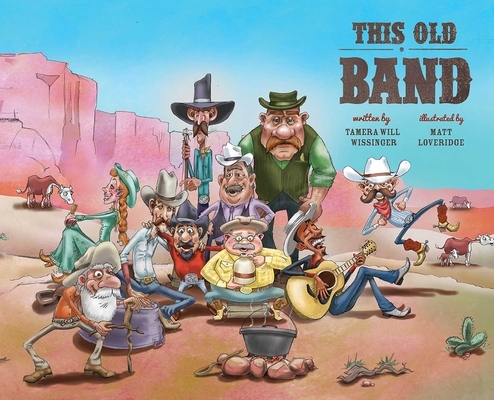 Featuring a ragtag group of cowboys from author Tamera Will Wissinger, and colorful, offbeat illustrations by Matt Loveridge, This Old Band is sure to delight children and adults alike (and teach kids a few things about counting and noises) with a fun take on a popular nursery rhyme. Tamera Will Wissinger is an up-and-coming poet and children’s author. Wissinger has a master’s degree in writing, and her book Gone Fishing was released by Houghton Mifflin Books for Children in March 2013. Wissinger lives with her husband in Vero Beach, Florida. Matt Loveridge is an illustrator and writer with a refreshingly light style. Loveridge illustrated the new Looniverse series of early chapter books from Scholastic, as well as other children’s books. Loveridge’s art is upbeat and bold, and he lives with his wife and their five children in Utah.